Winchester USA Handgun Ammo for Hunting/Target. 32 Auto, 71 GR, Full Metal Jacket (FMJ). Box price, 50 Rounds/Box. 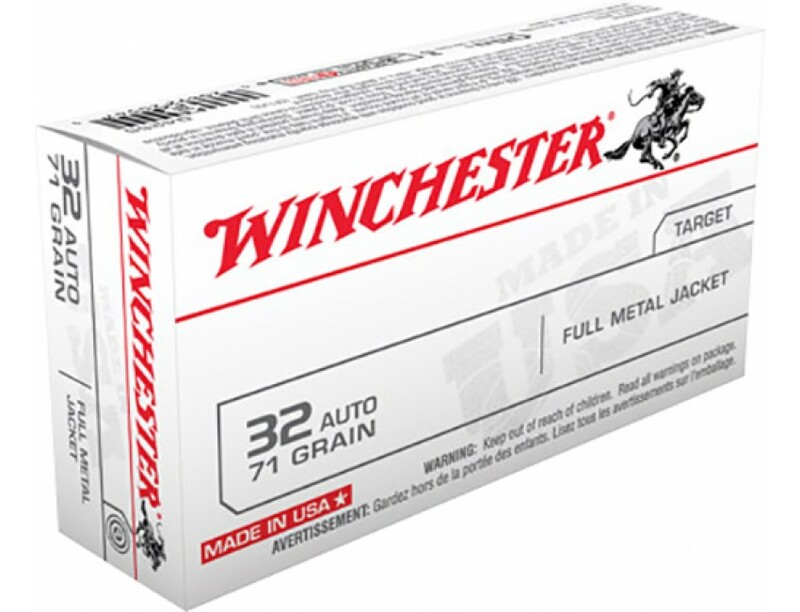 "USA White Box" stands for consistent performance and outstanding value, offering high-quality ammunition to suit a wide range of hunter's and shooter's needs.